This blog post was written by Liat Shapiro, KKOOM’s summer intern. The views expressed herein are Liat’s and do not necessarily reflect the views and opinions of KKOOM. I’m three quarters of the way across the sidewalk when I hear someone shouting. I turn around to see one of the youngest orphanage boys careening across the street. The pedestrian light has started to blink red. I run to the little guy, grab his hand, and together, we reach the opposite side of the street. “You need to be more careful,” I admonish gently. Just one sweet memory chosen from hundreds made during my two week trip to South Korea as Korean Kids and Orphanage Outreach Mission (KKOOM)’s 2018 summer intern. My name is Liat Shapiro and I had the opportunity of serving as the first ever intern for KKOOM this past summer. As a Korean adoptee, I have always wanted to give back to the Korean orphan community. The door never opened until this past year, when KKOOM expressed interest in having me help run an experiential learning camp for middle and high school students from Samsungwon Orphanage, one of the institutions KKOOM supports financially. 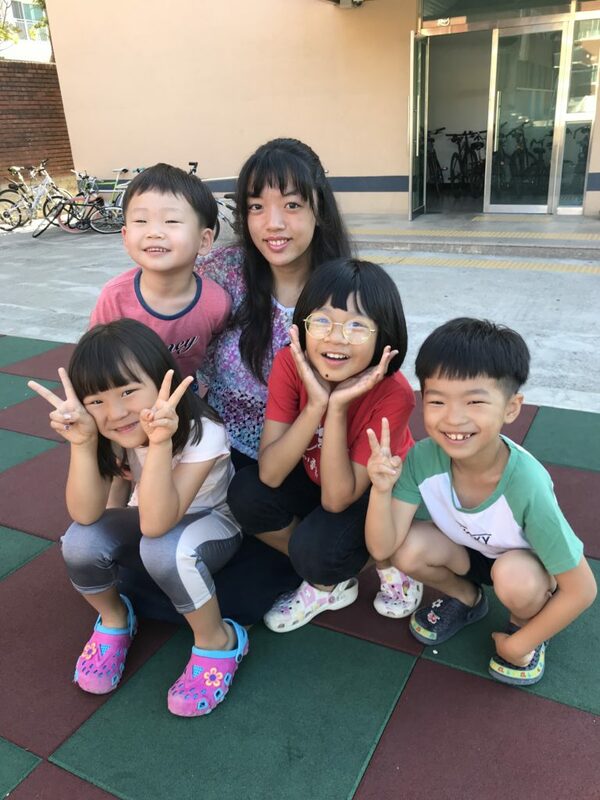 If not for Brandeis University’s Social Justice World of Work Fellowship (WOW), flying to Korea and engaging with the orphans and orphanage staff would not have been possible. My trip to Korea was split between spending time at Samsungwon Orphanage in Gumi and helping run the Dream Camp in Seoul. Two days after arriving in Korea, I met with KKOOM’s Chief Administrator, Grace, to take the two hour bus ride together from Seoul to Gumi. While in Gumi, I went on a camping trip with Samsungwon Orphanage. The morning of departure to the camping trip I was sitting in the orphanage cafeteria and had just started eating my kimchi when a curly-haired doll of a child silently slid into the chair next to me. “What’s your name,” I asked in Korean. Silence. “What’s your name?” Silence. “Are you hungry?” Nod. “Did you sleep well?” Nod. “Are you okay eating with me?” Nod. We reach the camping grounds and she comes running up to me, grabs my hand, and pulls me to a table. I try again, “What’s your name?” Her name’s Star, another child informs me. “Are you excited to swim, Star?” Nod. An inquisitive hand reaches toward my bag and soon we’re playing the object game — I say something in English and she repeats the Korean equivalent. By lunch, other children were used to my presence, and I was busy unbuckling life jackets, putting on shoes, throwing a football while kicking a soccer ball, running after a child around the parking lot, and conversing with our college scholars who opted to avoid swimming. The two and a half days spent with the Samsungwon children were full of laughter and love. I watched HyungJun (the youngest boy at Samsungwon) cry when his house brother left to play a game with the older boys. I spoke with a house mother who had lived in Seattle for eight years, knew one of the other house mothers, and chose to dedicate her time, energy, and love to providing a stable home environment for the nine boys under her care. 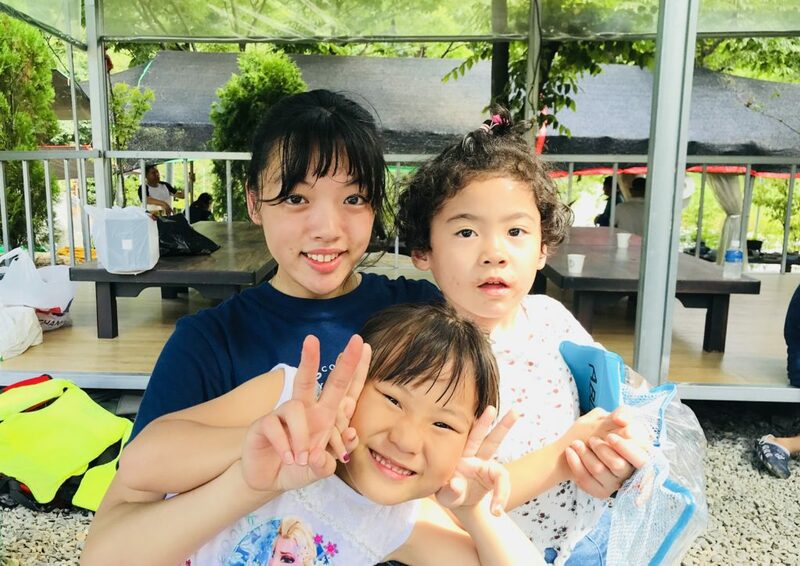 I learned that each house mother was “umma” to eight or nine children, that the children attend school together, that for some of the students who will age out of the welfare system in a year, discussing “not having a home next year” is normal. In a conversation with the Samsungwon orphanage president, I learned that a majority of the girls who age out of the welfare system end up going abroad to find jobs. When it came time to travel to Seoul to begin preparation for the Dream Camp, I left a piece of my heart behind in Gumi. When looking back at selfies with the children, I can only be grateful they’re living in such a secure orphanage as Samsungwon and pray that they will continue growing well. Now, at least, I have a reason to take a two hour bus ride through the beautiful Korean countryside every time I visit Korea. Dream Camp was designed to give the ten participating students experience with budgeting, riding public transportation, and interacting with native English speakers. KKOOM volunteers, the Chief Administrator, and I supervised groups of students as they completed various missions around the Hongik University area. I vividly remember prepping my group for the interview with a foreigner. I was unsure how they would handle the pressure of approaching a stranger, let alone ask questions in English, a language they hesitated to use. I “found” a foreigner and watched with pride as the girls gathered around and took turns using their English to discover the man’s nationality, interest in Korea, favorite colour, and favorite Korean food. I’m in contact with some of the older students, particularly the college scholars. I send them pictures of my university’s campus, primarily speaking in English as I hope to continue giving them opportunities to practice. Just the other day, one of them asked me what is the biggest news item about American culture. I made a wild guess and asked him if he knows about Nike. I find it often quite difficult to concretely explain what I’ve received from an experience. This time, it’s completely different. The students called me 선생님 (sungsaengnim– “Teacher” in Korean), but they are the ones who taught me. 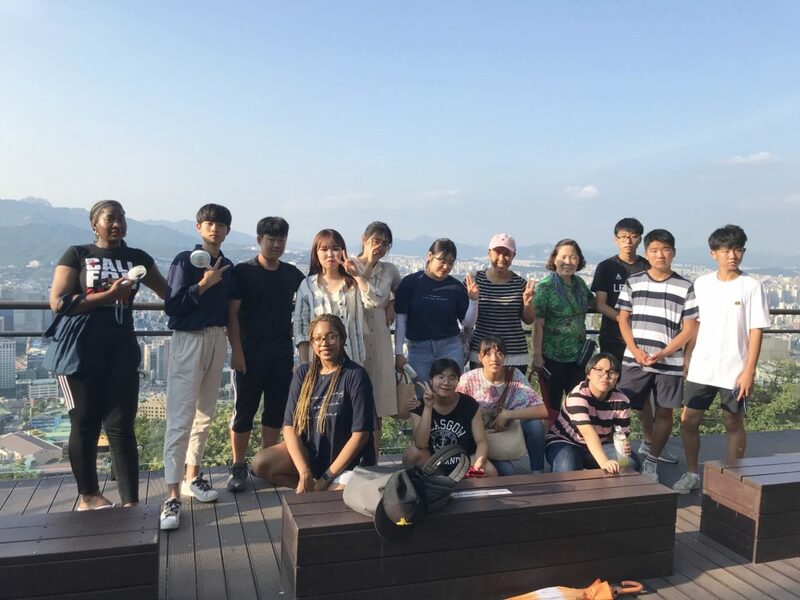 I was asked about American culture, but the children and staff shared with me invaluable information about Korean society’s attitude toward those involved in the welfare system–more than I would ever otherwise know. I was thanked for my time and energy spent, but I benefited the most from living with and learning from both the orphans’ and their house mothers’ kindness, humility, and love for one another.